The PROFESSIONALUSB® Social Addicted Keyring. 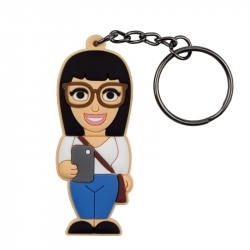 The Socializer Wannabe keyring is the ideal choice for every woman who likes to stay connected via social media. 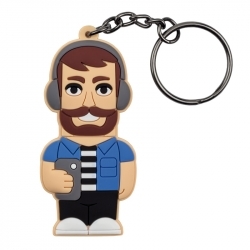 The Smart Wannabe keyring represents the guy who loves the latest technology. This fun gadget is practical, fashionable and very original.